Whether you are in Sydney for business or pleasure, whether you are a visitor or a local the most convenient and stylish way to see Australia's premiere city is by limo. A plethora of unique attractions await you in Sydney with our chauffeurs available 24 hours a day, seven days a week to drive you in comfort to locations such as: Sydney Aquarium, Taronga Zoo, Darling Harbour, Centre Point Tower and the Harbour Bridge for BridgeClimb. If you are looking for a car service in Sydney while on business or one off limo transfers we have a range of vehicles to cater to your every need whether you require anything from a luxury sedan to a stretch limo for your time in Sydney. Sydney is a modern city with a highly skilled workforce drawn from all around the world, with vast agriculture and natural resources. Sydney is also a large city with sometimes intimidating, complicated and congested roadways. If you are here to do business why not use a limo in Sydney so you can concentrate on the job at hand and not concern yourself with navigation and traffic snarls? There is a tradition to hire limos for special occasions and business ventures but in Sydney every moment can be a special occasion. World renowned restaurants such as Kent Street's Tetsuya's Restaurant and picturesque treasures such as Bathers Pavilion at Balmoral mean there is always a reason to treat yourself to a limo for hire. 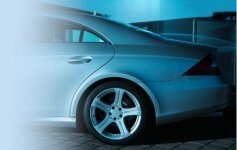 Limo hire in Sydney has never been easier with our unique online booking system that allows you to arrange limo hire in Sydney without having to make a single phone call, while our friendly staff are standing by to take your phone calls if you have any questions about booking your limo in Sydney.